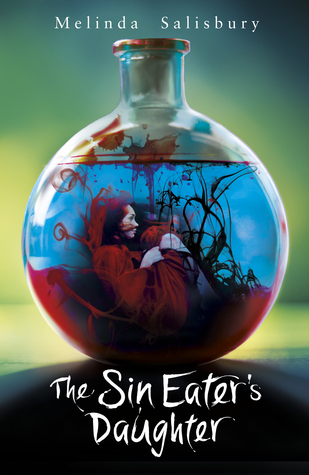 This is a sort-of review of the fabulous Sin Eater’s Daughter by my very lovely friend, Mel. I say sort-of review because I’m focusing on the Victorian language of flowers – which is cleverly threaded into the story – how it influenced my ideas when I first read the book and what I think it might mean now I’ve finished. I’m not sure if this a subject du jour when it comes to reviewing books, but I intend to pursue it anyway! Oh and also THIS IS FULL OF SPOILERS. Seriously, do not read this if you haven’t finished the book. You’ve been warned! Seventeen-year-old Twylla lives in the castle. But although she’s engaged to the prince, Twylla isn’t exactly a member of the court. She’s the executioner. The Victorian language of flowers is the communication of ideas or feelings through certain types of flowers and flower arrangements. Melinda hints in the acknowledgements of The Sin Eater’s Daughter that the language of flowers might provide clues to the story so I thought I would give it a go. Twyla remembers riding out with the Prince and the kitchen gardens being full of Dandelions. The Queen was furious such uncultivated, weed-like plants had been allowed to grow in her gardens so cut off the index fingers of the gardeners. Dandelion represents faithfullness and happiness so it would make sense that the Queen would resent letting them grow. They are a stark contrast to the atmosphere she creates at court. The Queen cuts off the kingdom’s happiness as she cut off the gardeners’ fingers. Pale pink Roses represent grace, red Poppies equate to pleasure, and Iris’ to wisdom and valour. These are exactly the sort of aspects of courtly love that the Queen would aspire to but fail to deliver. After Lief becomes offended by Twylla wasting her food, he brings her flowers the next morning to apologise. The bouquet contains; Anemone to represent forsaken or dying love and said to bring protection against evil, Hollyhock meaning fertility and fruitfulness, and Lavender showing solitude and devotion. Lief will protect Twylla against evil, and devotion/fertility hint at possible love and romance. 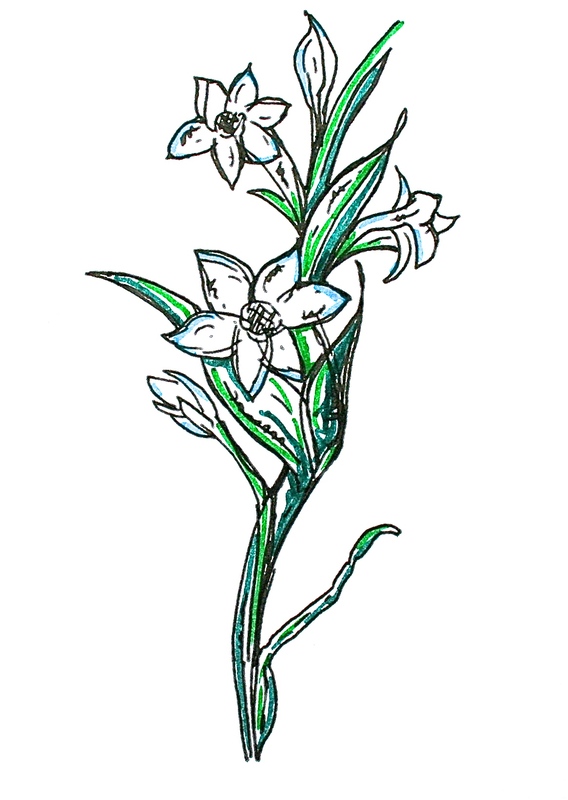 The flowers at Twylla’s meal with Merek are Tansy, a declaration of war, and Tuberose, representing dangerous pleasure. Merek is not to be trusted. But after completing the book, I’m seeing things a little differently. I think that Lief’s flowers to Twylla were conveying a clever subconscious message, trying to convince her with promises of protection and love, when really he was plotting with the Queen. The meaning of flowers didn’t help me to see that one coming! And as for the flowers at Twylla’s meal with Merek, I wonder if it was signifying that he wished to rise up against the Queen – a declaration of war against her, not Twylla. I hope you enjoyed this little foray into the Victorian language of flowers and that you enjoyed reading The Sin Eater’s Daughter as much as I did! P.S I drew the flowers this morning, and had a little experiment with adding colour with my new felt tip pens, instead of with watercolours or digitally as per usual. I hope you like those too!